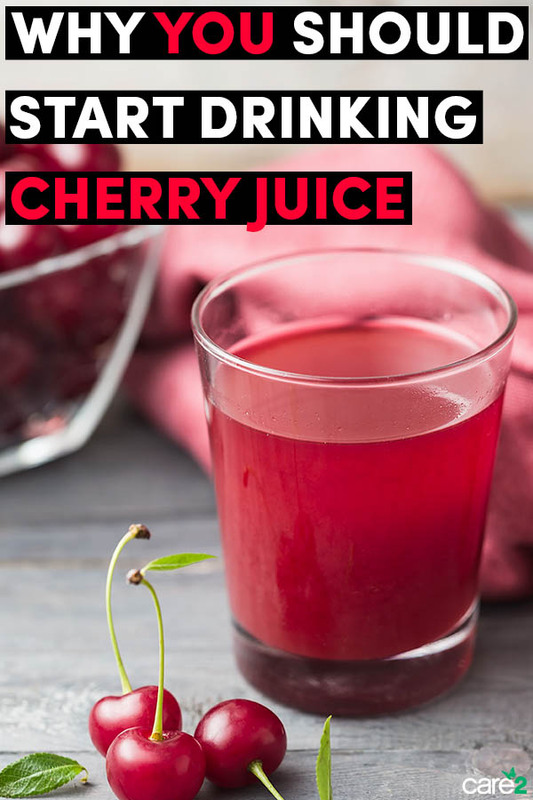 Tart cherry juice tastes delicious enough to drink it purely for enjoyment’s sake, but there are so many health benefits that you’ll want to drink it more often. Here are some of the reasons to start drinking cherry juice. According to the University of Michigan, one cup of freeze-dried tart cherries has an ORAC value greater than 10,000, making it extremely high on the list of antioxidant-rich foods. The researchers found that tart cherries have a wide diversity and a unique combination of phytochemicals that boost their antioxidant function. In an analysis of studies on cherries, researchers found that 5 out of 5 studies of the fruit on arthritis demonstrated benefits to arthritis study participants. A new study published in the medical journal Nutrients found that drinking around one half of a quart of tart cherry juice daily reduced high blood pressure in the study participants. The same study found a reduction in cholesterol levels among those drinking the juice. Research published in the European Journal of Sport Science found that tart cherry accelerated the healing of exercise-induced muscle damage. 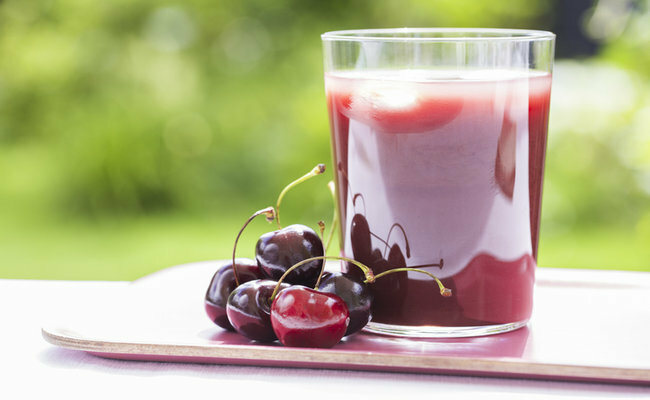 Tart cherry juice and tart cherries are well-known for their ability to alleviate the pain and inflammation of gout—a form of arthritis that primarily affects the big toe. In a series of 3 studies published by the University of Michigan, researchers found that tart cherries reduced cardiovascular disease risk and heart-damaging inflammation. The study in Nutrients also found that drinking tart cherry juice resulted in a 25 percent reduction in C-reactive protein (CRP)—a marker for inflammation and frequently a precursor to heart disease, as well as a reduction in inflammation. Cherries are nutritional powerhouses that contain a wide variety of phytochemicals, which literally means plant chemicals, including: anthocyanins, flavonoids (such as quercetin) and chlorogenic acid. Another study published in the journal Nutrients found that tart cherry juice significantly prevented bone loss and may therefore be helpful in the prevention and treatment of osteoporosis. What’s more: a study published in the European Journal of Nutrition found that tart cherry actually increased bone mineral density. According to research published in the Journal of Nutritional Biochemistry, tart cherries and tart cherry juice act as prebiotics in the gut, meaning they provide food for beneficial bacteria to ensure their growth and ability to multiply. In a study published in the American Journal of Therapeutics, researchers found that drinking 8 ounces of tart cherry juice in the morning and again 1 to 2 hours before promoted sleep among those suffering from insomnia. The juice was so effective that the insomniacs slept an average of one hour and 24 minutes more, on average, each night while incorporating the beverage into their daily regimes. Because tart cherry juice reduces inflammation, it may come as no surprise that it reduces inflammation linked to obesity, suggesting the fruit and the beverage made from it may be a helpful addition in weight loss programs. While most of the studies were conducted on tart cherries, sweet cherries also offer many health benefits. It’s easy to get more cherries into your diet. There are fresh, frozen, freeze-dried powders, juice and dried cherries to choose from. Add fresh, frozen or dried powders into your smoothies. Drink the juice, preferably diluted with equal parts of water, and snack on the dried cherries or add them to leafy green or quinoa salads.